There are few brands within the game of golf that demand the kind of respect as the Scotty Cameron line of putters from Titleist. Golfers around the world have long loved the products produced in this line, as they represent some of the best tools that you can use on the greens. Of course, that quality comes at a price. 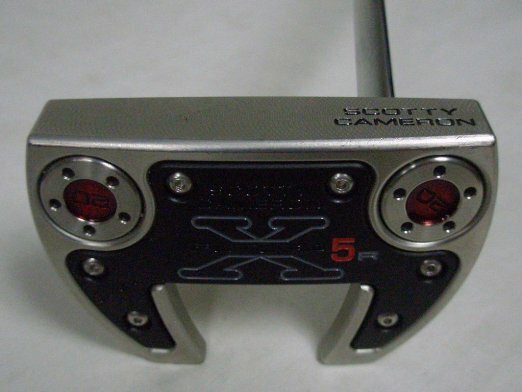 Scotty Cameron’s are notoriously expensive, and the story is no different with the X5 and X5R. Coming in with a retail price of $349, this putter is no one’s idea of a bargain. However, if you want the best and you are willing to invest financially in your game, the performance of these clubs is hard to match. The X5 is a mallet putter with a wing back design intended to give it great balance and feel through the ball. The X5R is a very similar putter, with only a rounded wing design to differentiate it from the X5. It should be easy for you to get this club head aligned square to your target line at address, and the putter features the typical great looks that come with Scotty Cameron models. One element of this putter that you are likely to love is the feel of the ball coming off the putter face. Above all else, this is what Scotty Cameron putters are known for among golfers of all skill levels. There is a unique feeling that is achieved when putting with a Scotty, and you should find that to be the case with the X5. If you are looking for a mallet-style putter, this is certainly a model to give careful consideration. The one aspect of this putter that might put off some players is simply its size. 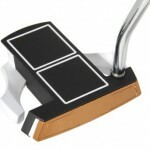 It is a large putter, which is not something that every golfer will love. Of course, if you are a player that doesn’t want a large putter head, you probably shouldn’t be looking at mallet designs to begin with. As an entry in this category, however, it is hard to find another option that is going to outshine the X5/X5R.